The Monument Golf Figure Awards. 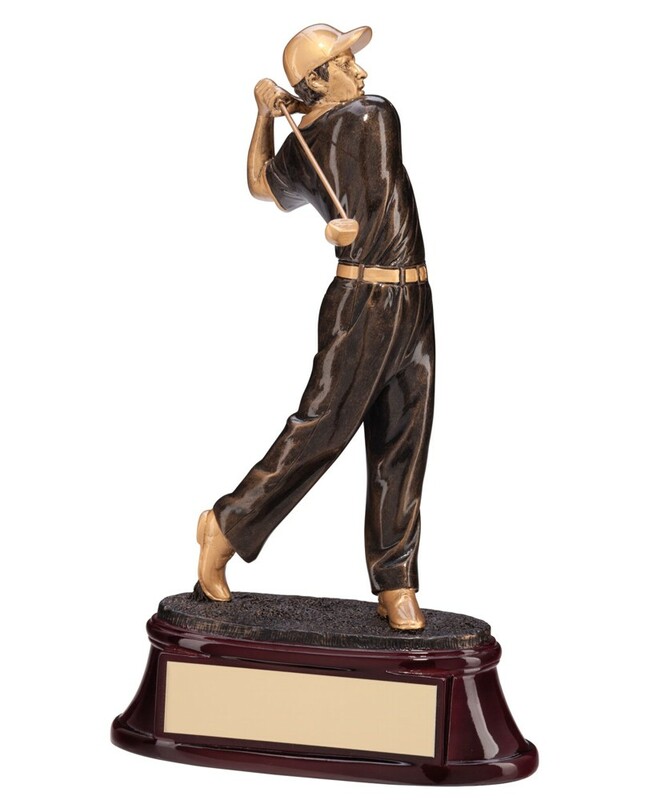 Measuring 310mm high, heavy resin male golf figure mounted onto a heavy base. Antique bronze with gold highlights.